Welcome to Part 3 in a series that covers nameless, faceless writer opinions inserted into television metadata for EPGs and apps. Please see here for Part 1 and Part 2. As has been observed in the previous articles, some EPG data suppliers claim that their TV program summaries are neutral, however as this series continues to prove, this is not the case whatsoever. In fact, certain providers seem to consider themselves amateur movie critics, with mostly negative thoughts. Peruse the following film synopses and ponder whether or not this sort of out of control bias and editorializing has a place on any screen. We don’t think it does. After their plane crashes, a sheriff (Stephen McNally) and his prisoner (Rory Calhoun) meet a pair of cabin dwellers (Jean Simmons, Brian Aherne). Good cast but the script defeats them. A high-school student (Michelle Trachtenberg) wants to become a champion figure skater, but her mom (Joan Cusack) wants her to go to Harvard. Formulaic Disney fluff. A has-been publicist (Al Pacino) tries to revive his career by organizing a charity event while contending with other disasters. 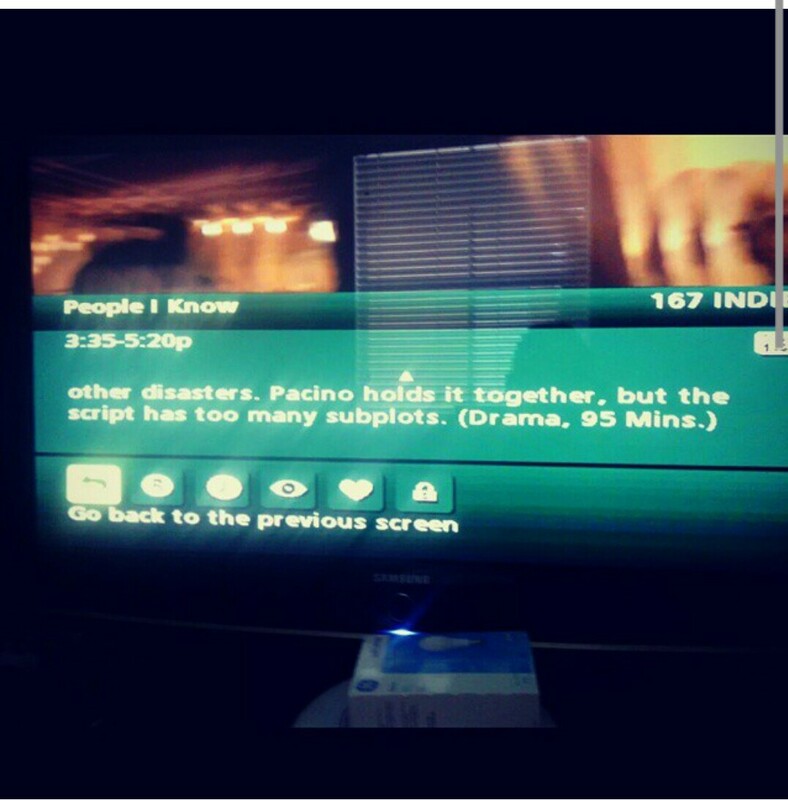 Pacino holds it together but the script has too many subplots. Inane apocalyptic action-thriller starring Arnold Schwarzenegger as an ex-cop who tries to foil Satan’s plan to conquer the world on New Year’s Eve 1999. A California high-school basketball coach teaches responsibility to a cocky, undisciplined team. An inspiring but overly preachy fact-based drama. Magically unfunny comedy about the romance that develops between a waifish woman (Sarah Michelle Gellar) who’s inherited a restaurant and a wealthy, debonair businessman. A contraband deliveryman (Jason Statham) gets mixed up in an Asian slave ring in the south of France. Dizzying martial-arts action and car chases can’t make up for an incoherent plot. As you can no doubt tell, the above program descriptions are an aberration. And this has been going on for years with other metadata suppliers. Here at FYI Television, our summaries are decidedly without commentary, leaving the viewer to form his or her own opinion on what they’re watching, instead of leaving them distressed or confused. Interested in accurate TV metadata more along the lines of that? Get in touch with us, by clicking below.